GAZ produce a wide range of performance shock absorbers with adjustable damper rates. 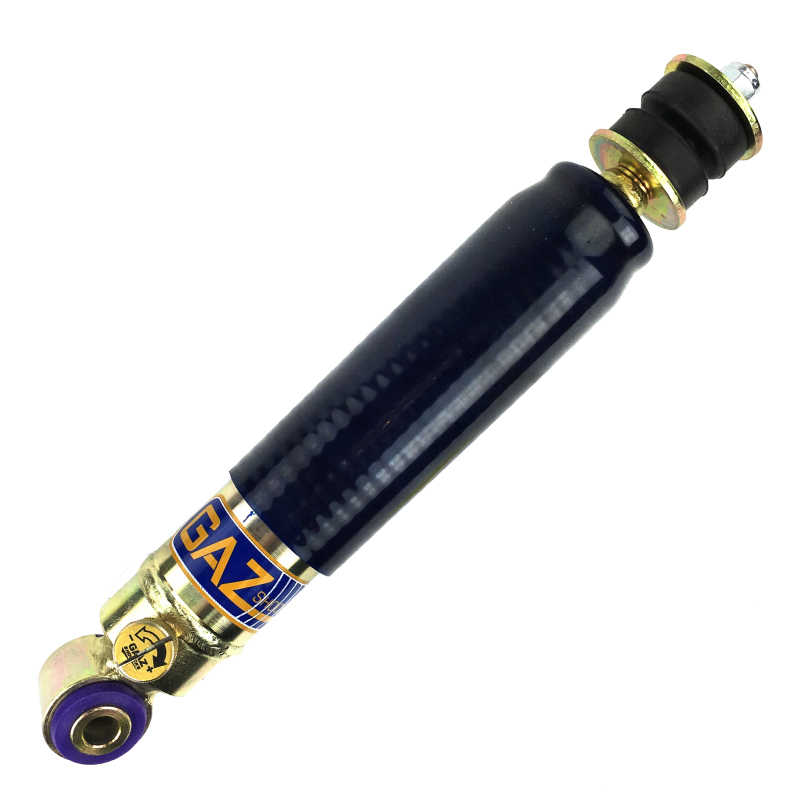 GAZ shocks offer the ease of adjustment offered by a 36-point external rotary knob on the side of the shock. Adjustments can be made without removal. Each unit is dyno tested for durability and meets the worldwide standards of ISO9002 for manufacturing excellence. UK manufactured to the highest quality. Designed for the FRONT of a Mini with dry suspension and standard ride height. UK manufactured to the highest quality. Designed for the REAR of a Mini with dry suspension and standard ride height. UK manufactured to the highest quality. Designed for the FRONT of a Mini with dry suspension and lowered ride height. The closed length from pin centers is 215mm and open height is 292mm. operating stroke length 77mm. UK manufactured to the highest quality. Designed for the REAR of a Mini with dry suspension and lowered ride height. Fully open length from pin centers is 35cm and closed length is 25cm.